Born as Shyam Vepa Rao on September 21, 1939, in Sakti, where his grandfather was the Diwan of the erstwhile princely state, now in the Janjgir-Champa district of Chhattisgarh. He received his degrees in Law and Economics from Calcutta; thereafter he worked as a lecturer of Business Management at St. Xavier's College, Calcutta, from 1963 to 1968. In 1968, he left his home and job at Calcutta and went to Haryana to join the Arya Samaj, a Hindu reformist movement, and on March 25, 1970, he took to monastic orders, sanyas, under Arya Samaj. On the same day he also founded Arya Sabha, a political party based on Arya Samaj principles as he described in his 1974 book, Vaidik Samajvad. 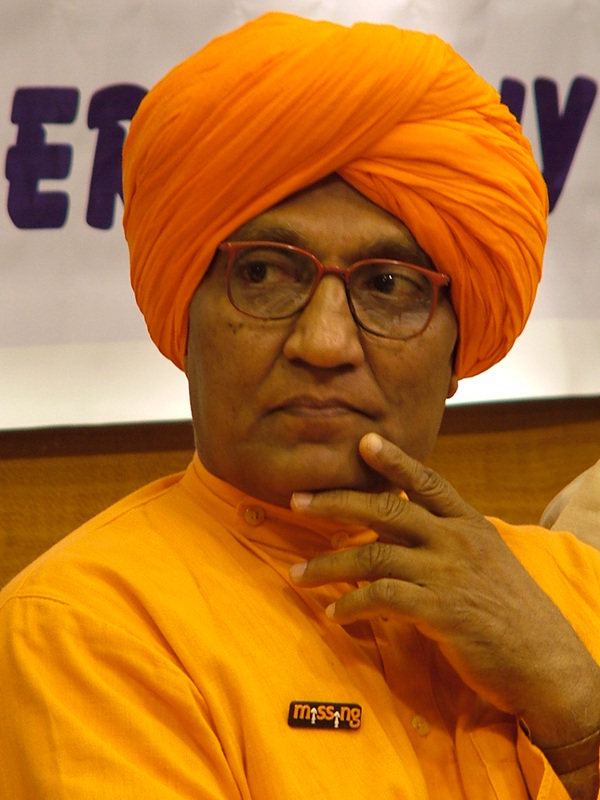 In 1977, Agnivesh became a member of the Legislative Assembly of Haryana, and served as a State Minister for Education from 1979 to 1982. In 1981, while still a minister, he founded the Bonded Labour Liberation Front, which continues to fight against bonded labour in India, especially in the quarries in and around Delhi; he remains the chairperson of the organization. Among Swami Agnivesh's contributions is his championing of the anti-caste movement and liberation of bonded labour activities. He has now diverted his appreciations to Semitic religions, he officially declared Islam to be correct and the Arya Samaj council has demanded his resignation from the post of president of his self-founded Arya council due to his divergence from the core truths of the Arya Samaj. Due to his political ambitions he acted against the Arya Samaj ideals and as such was expelled. Later, he forcefully occupied the office of the president and started acting as president although no provincial sabha recognises him. He has been testifying before the Working Group on Contemporary Forms of Slavery at the United Nations Human Rights Commission in Geneva. A movement led by him is strongly voicing its opinion against child labour. After the controversial sati incident on September 4, 1987 in Rajasthan, he marched up to Deorala from Delhi, and staged dharna outside the village and also courted arrest as a mark of public protest. Later he created a new task for emancipation of womanhood, which brought about the Commission of Sati (prevention) Act of 1987. Agnivesh has remained an advocated against large-scale female foeticide practiced by some medical doctors, and in November 2005, he also led a public march against it through Haryana. He was the main proponent of a challenge to the Shankaracharya of Puri for public debate against his views on sati. He also led a provocation against denying Dalits entry into Hindu temples. In 2008, he addressed a large gathering at the Anti-Terrorism Global Peace Conference, at Ramlila Grounds, organized by Jamiat Ulama-i-Hind and several Islamic organisations, where he stated, "It is wrong to attribute the wrongdoings of a few individuals to the whole community. I would not mince words to say that the United States is the terrorist number one. To defame the Koran and Islam is the worst form of terrorism. Islam stands for peace and brotherhood and there cannot be a bigger lie than saying that Muslims are terrorists." in the recent movement led by social activist anna hazare, swami agnivesh saraswati was the part and parcel of the movement and he too stood firm against the corruption in india.